In a world where half board or B&B is the standard offering we like to buck the trend. At Potters Resort every break is unashamedly full board which means four meals a day for each full day of your break, with breakfast, lunch, dinner and a midnight ‘dish of the day’. In a world where half board or B&B is the standard offering we like to buck the trend. 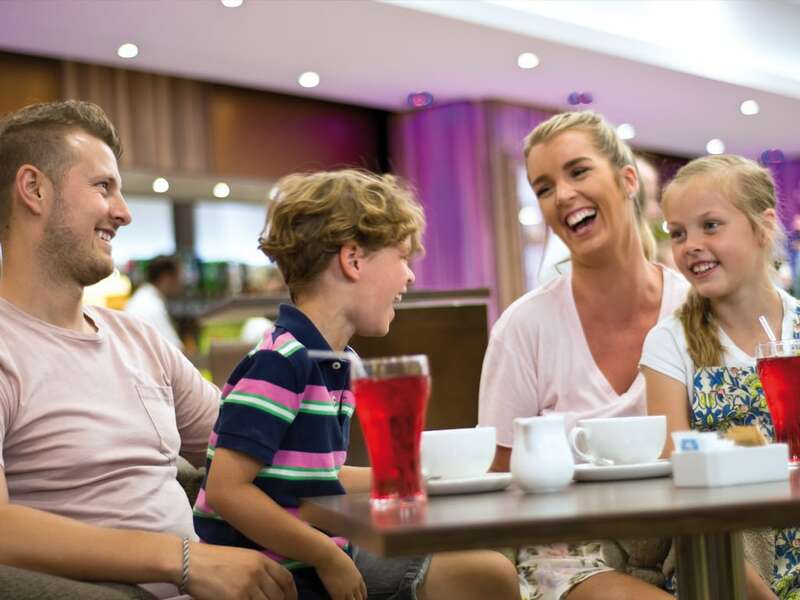 At Potters Resort every break is unashamedly full board which means four meals a day for each full day of your break, with breakfast, lunch, dinner and a midnight ‘dish of the day’. You are allocated a table for the duration of your stay, meaning there is no queuing. You can help yourself to as much as you want, meaning you can have seconds, thirds and even fourths! We operate two restaurants, but both offer the same menu and high level of customer service. The Garden Restaurant, with its impressive high domed ceilings, seats over 600 guests. The smaller Gallery Restaurant is designed to cater for a variety of party sizes in a more intimate setting. The Gallery Lounge offers guests a quiet spot during the day to read the paper, play cards or simply chat to friends old and new. The Gallery Lounge is the venue for our late night Disco on Fridays and Saturdays. 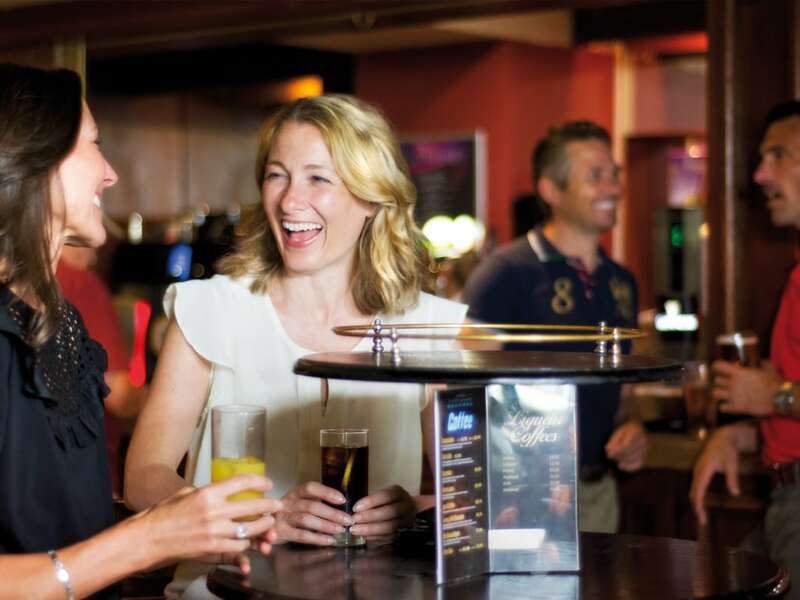 The Atlas Bar is situated in the Atlas Theatre and features state-of-the-art Plasma displays, atmospheric lights and one of the longest bars in the country. 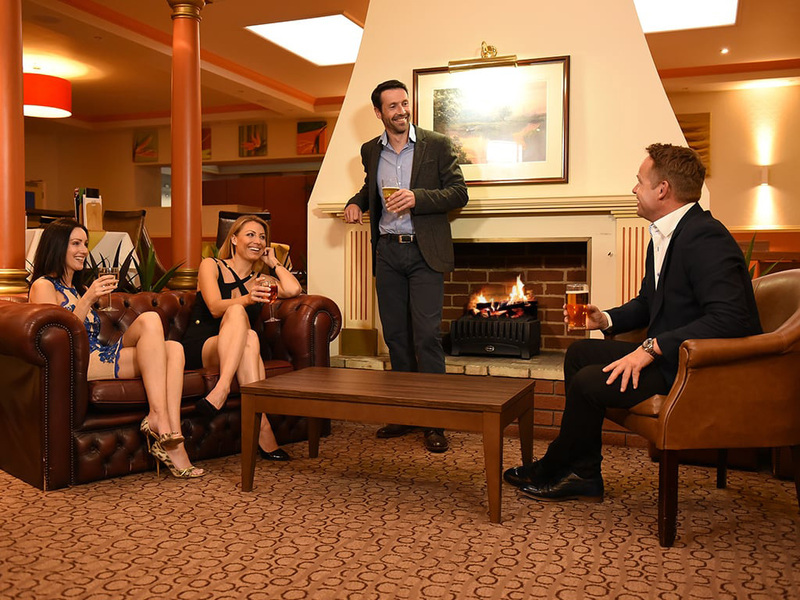 It's the ideal location for before and after show drinks. Our food is traditional British fare, the perfect complement to an activity-filled break, and it's plentiful. You can help yourself to as much or as little as you want. 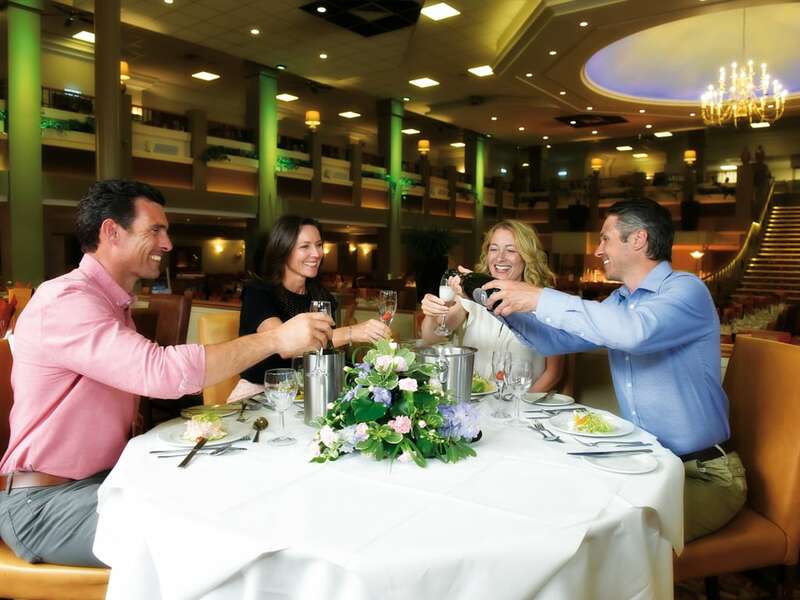 The Terrace Bar is the main venue for daytime and late night entertainment. 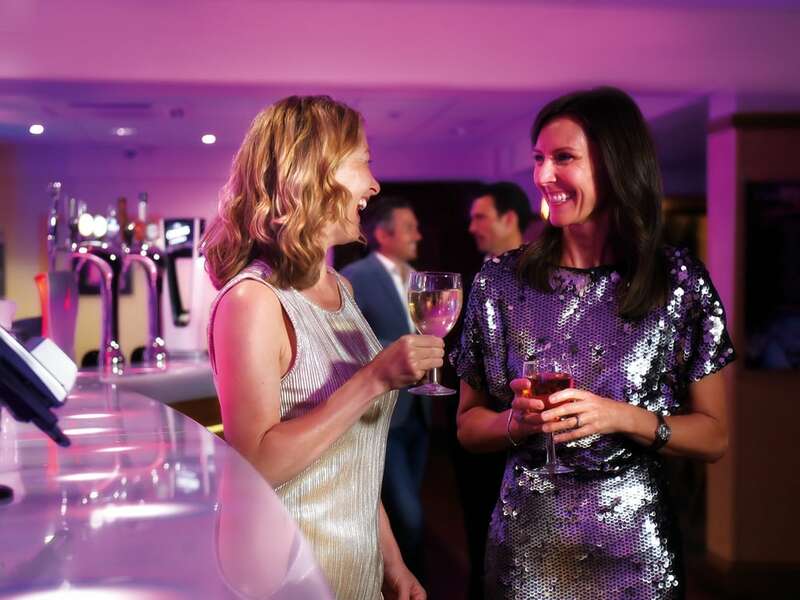 With a well-stocked bar serving hot and cold drinks and a stage for singers and comedians, the Terrace Bar is always a fun and vibrant place to be. The bar also has an external terrace with umbrellas and a heated smoking and seating area. This is the perfect place to meet your friends during the day. Located right beside our main indoor bowls rinks, your refreshments are never far away. The bar boasts large HD TVs making it the perfect venue to relax and watch sporting events. During family breaks and some weekends, this is the perfect place to watch your kids having fun on the giant inflatable, hoverboards, bouncy castle and more. The Black Rock Grill is a unique dining experience within the resort. A selection of the freshest fillets, seafood and shellfish is presented to your table along with individual volcanic 'Hot Rock' on which you cook the ingredients exactly to your own taste. 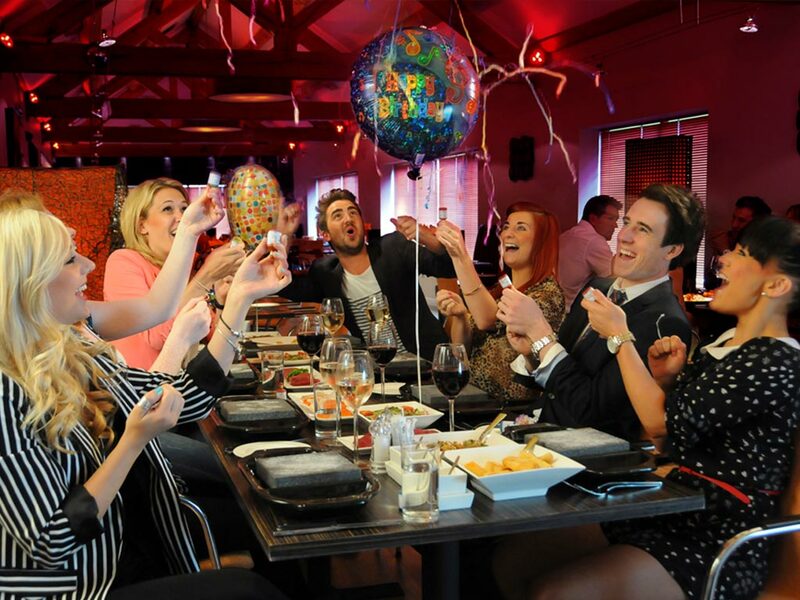 You can add a Black Rock Grill experience to your break for just £25 per person; this is saving £10 on the menu price.